Breaking up is soooooo hard to doooooooooo… but I am taking a blogging break until the end of April. There are things I have to do so I can move on. Procrastination is my middle name… but it should be my first! I have about a week to accomplish projects I have had all year to get around to. So I have to concentrate all my effort and not allow any distractions. We’ll see how that works out. All will be revealed later on! In the meantime I hope you enjoy my offering for Feline Friday. The above photo was taken on Tuesday afternoon. 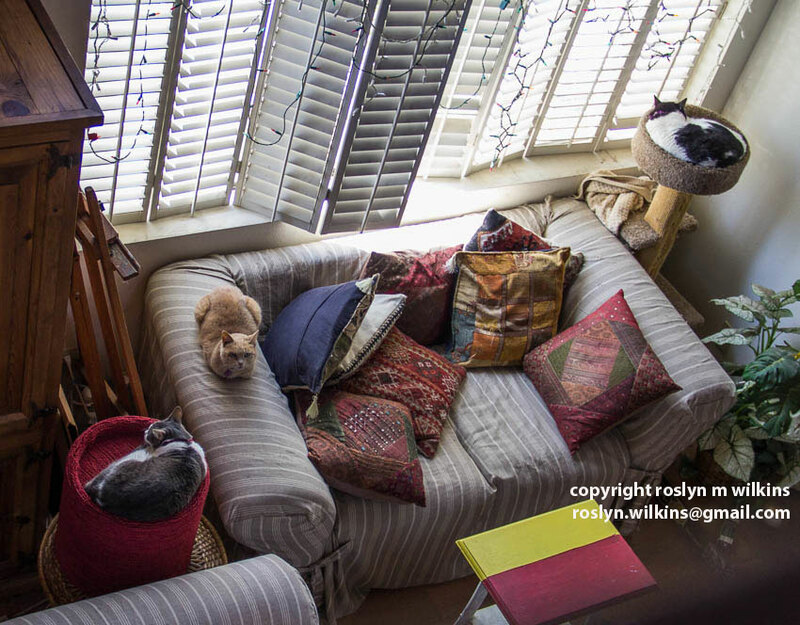 How many cats do you see? Frankie curled up on top of his condo. Pharoah spread out on the arm of the loveseat. Freddie tucked into his tower. Frankie never tries to climb into Freddie’s tower. Freddie is not interested in Frankie’s condo. And long before Freddie or Frankie were on the scene, Pharoah claimed the loveseat for his own. I could take this photo every afternoon for the next year and it wouldn’t look much different. Siesta time is sacred! 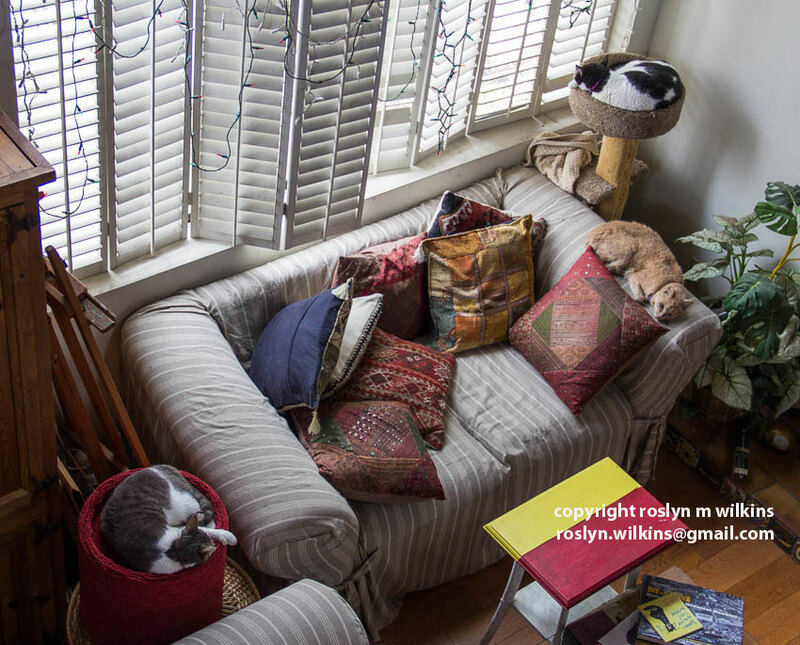 Categories: Animals, Cats, Culver City, Los Angeles, Pets, Photography, Southern California | Tags: cat condo, cat tower, Feline, Frankie, Freddie, Friday, Pharoah, siesta | Permalink.